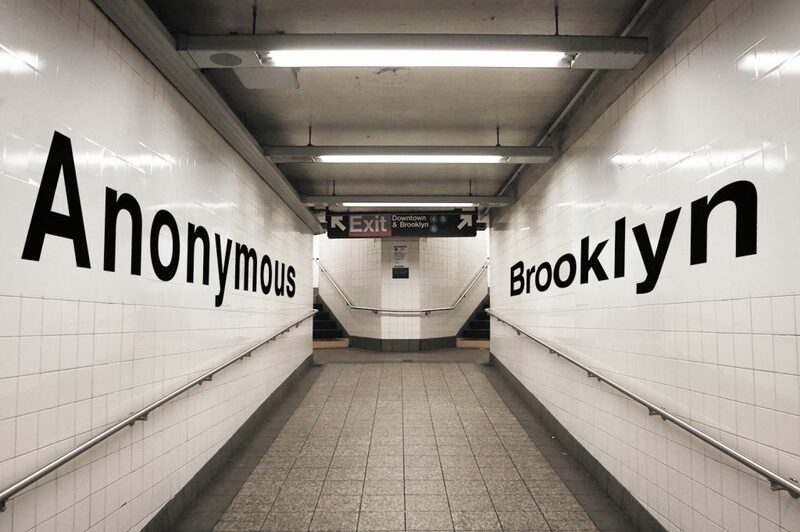 Anonymous Brooklyn is for everyone. Anonymous Brooklyn is a installation built one person at a time. Over the course of New York City Jewelry Week artists are invited to bring a piece of jewelry for display In the Gallery at Brooklyn Metal Works. All the work will be placed on one wall, and each artist will have only small nails to hang their display. (We will have a hammer of course!) This is an accumulation, an accretion. Whoever hangs the first piece gets the first pick of placement and from there it grows. It might grow over, it might grow under. No artist will harm the work of another, but elbows will rub, hair may fall in your eyes, and proximity will certainly alter perception. To participate in this call, fill out this form before dropping off work. Exhibition installation from 11am-6pm, November 12-17. Opening reception 7pm, November 17. This installation/exhibition is part of NYC Jewelry Week 2018. Do I have to be from Brooklyn/New York/The United States to participate? No, this is the point. You just have to be here. I’m going to be in town but my friend isn’t, can I hang their work for them? Yes, but one person, one work. If you also want to hang work, you’ll have to ask a friend too. How do I get my work back? If you live out of town you must leave a prepaid shipping box when you drop off your work. We will return it in the box provided. You are responsible for insurance and any other extras you may need. If you live nearby you must come and pick up the work from 11am-6pm, November 18 or 19, or we will give it to our neighbors. How long will the show be up for? This show will remain on the wall during NYCJW. Does work need to be for sale? I want to sell my work, how do I do that? We will have an online gallery/price guide that is updated in real time as works are installed. As soon as a work is listed it is officially for sale. Purchases can be placed online or in person. BKMW will handle all sales at 50/50 split. We will get your info when you install the work and all sales will be paid out within a month of the show closing. How do I know my work will be safe? BKMW has successfully hosted exhibitions for over 6 years. Due to the nature of this exhibition we ask artists who have a high monetary and/or sentimental value work to carry their own personal insurance. Nothing rotting, no noxious odors, no emitting of harmful chemicals, nothing that seeps/weeps/cries, nothing that attracts vermin, nothing that will cause harm to other work, nothing explosive, no guns. You get the idea. Please don’t make us wish we’d made this list longer. We reserve the right to reject pieces that exceed this criteria. Fill out this form. Bring us your jewelry. One person, one piece. Check our open hours to bring and install the work. Your work will go through a formal documentation process where we photograph the work and receive your information. You will be given a coat check number in exchange for your work. You will participate in an installation performance. You will be photographed installing the piece and all pertinent information about that piece will be offered to the interwebs on all of our available platforms. Participants must be willing to wear a mask while performing these tasks. No name attribution will ever be publicly associated with the works or released by BKMW. If a work sells the name of the artist will be disclosed to the buyer if desired. No one knows until it’s over.